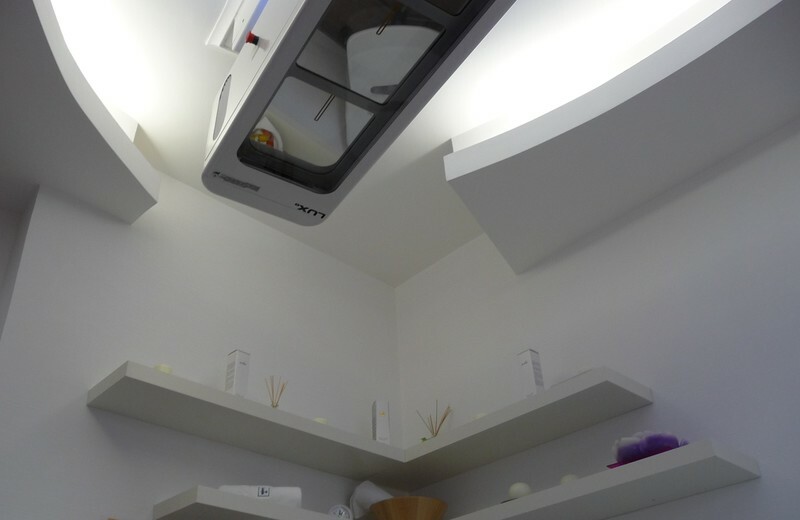 It tans with the quality and power of 6 Evolution Lights Lamps, but it isn't really a solarium, it tans while you're standing, but isn't a booth, it tans while you're lying down, but it isn't a bed: LUXo is a new tanning unit with aroma diffuser. 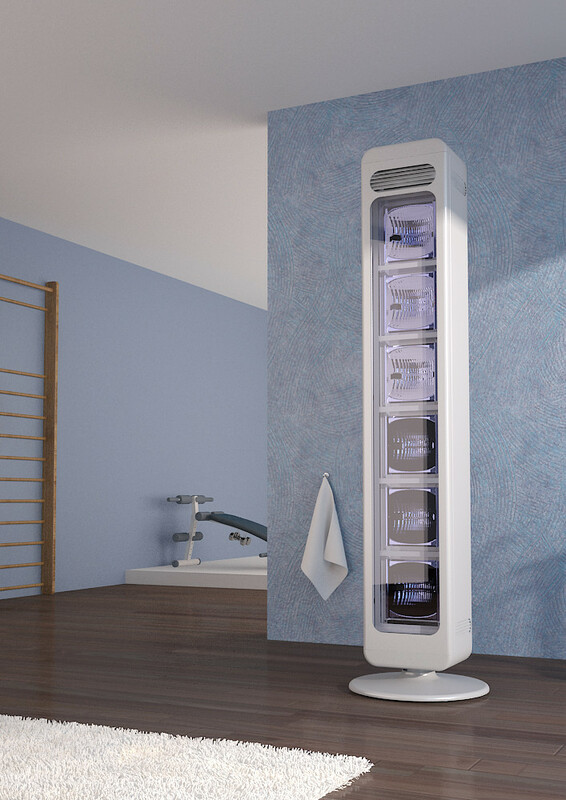 It is highly prestigious and stimulating addition to the beauty and wellness treatments offered by any spa and a modern addition to any home fitness area. 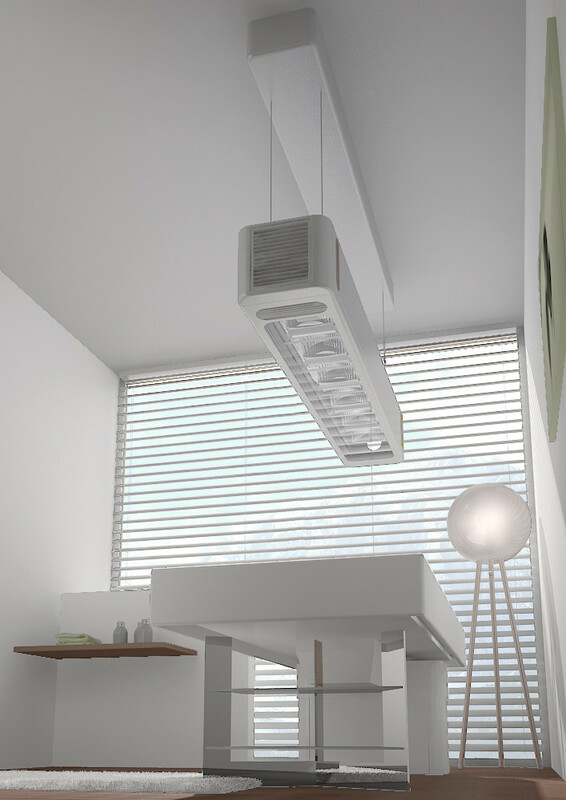 Although it can be customized, LUXo is white with a chrome interior and mirror filters; it is compact and attractive even when switched off. 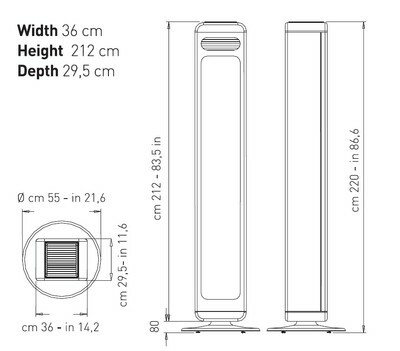 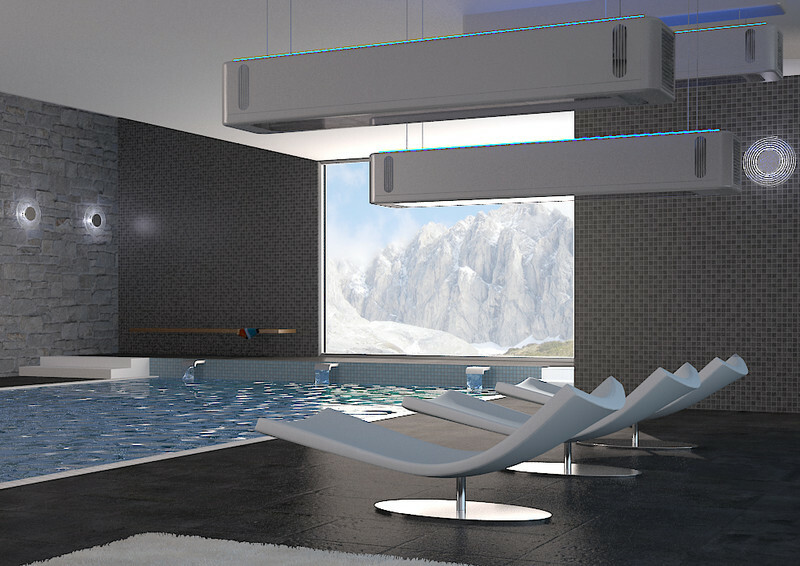 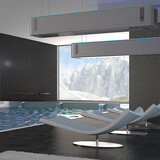 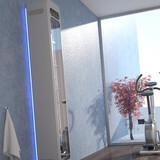 The wall-mounted version boasts a beautiful beam ofblue light all around the unit. 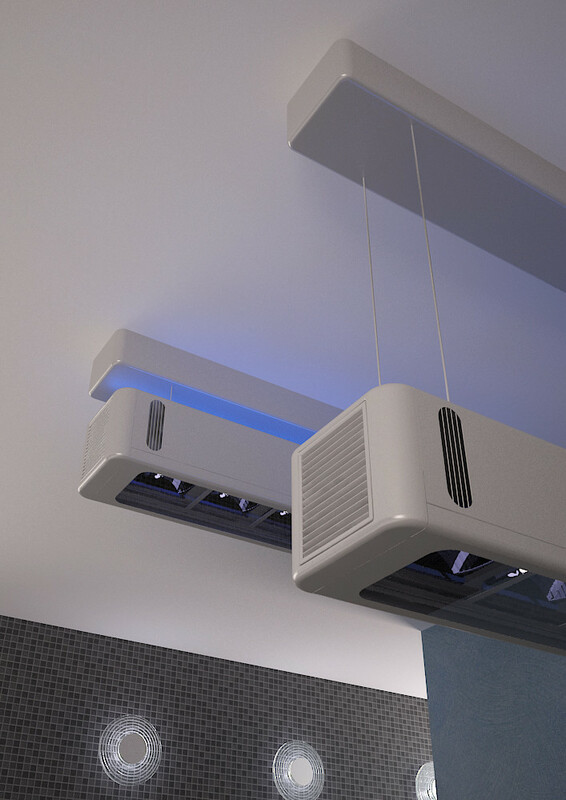 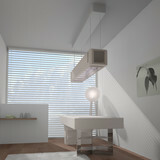 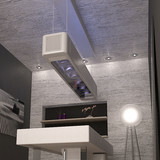 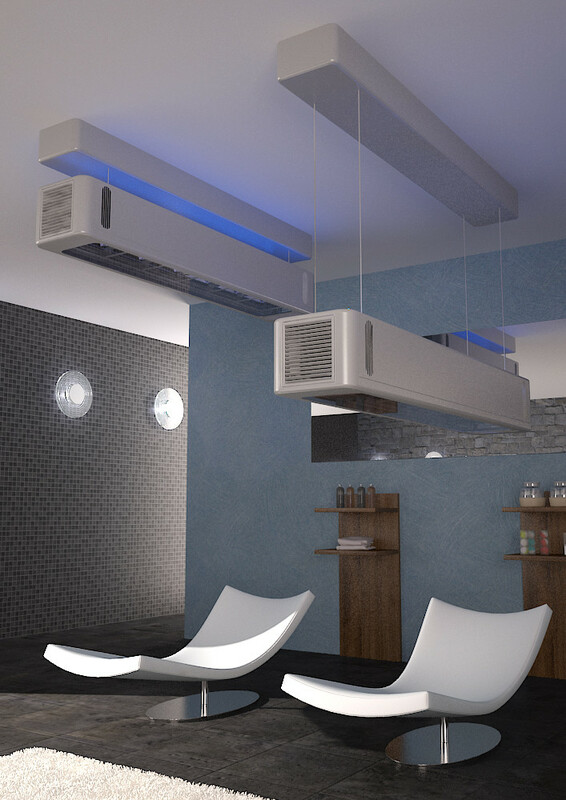 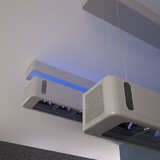 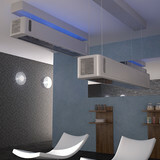 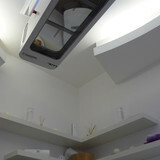 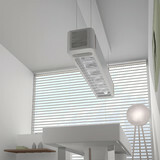 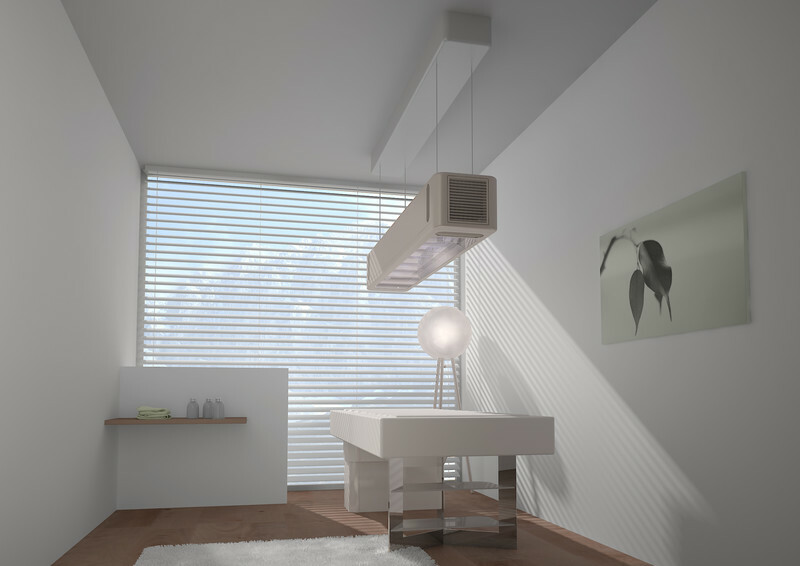 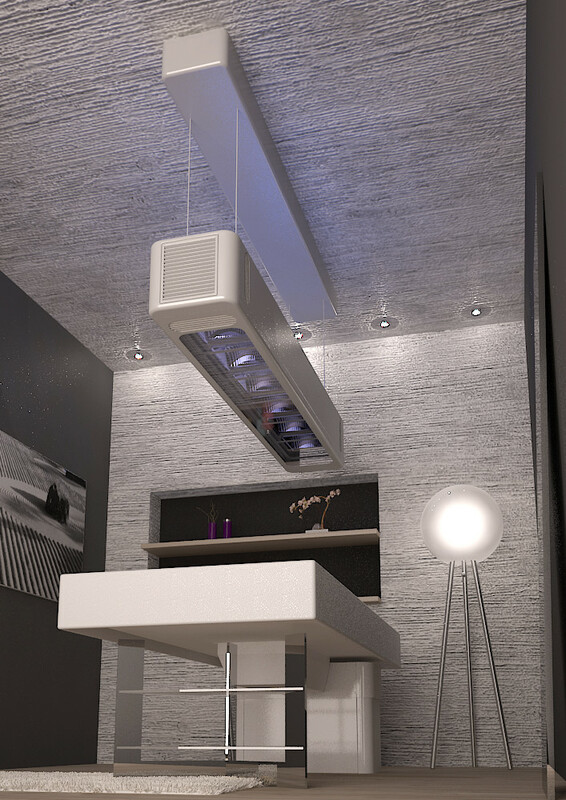 Suspensed horizontally, it can be positioned at different heights thanks to a handy remote control. 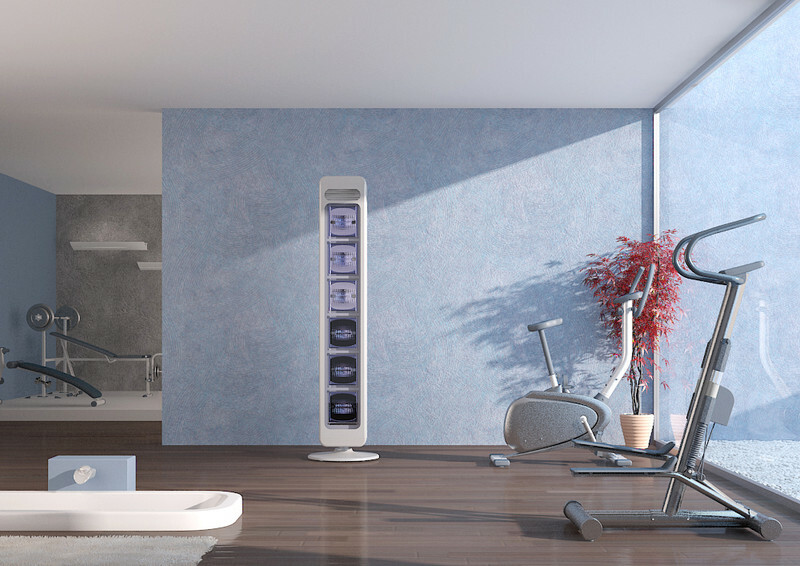 Low energy consumption, adjustable power, easy maintenance - thanks to the fact it can be inspected from the front - and the remote control make LUXo the ideal choice for a really easy tan. 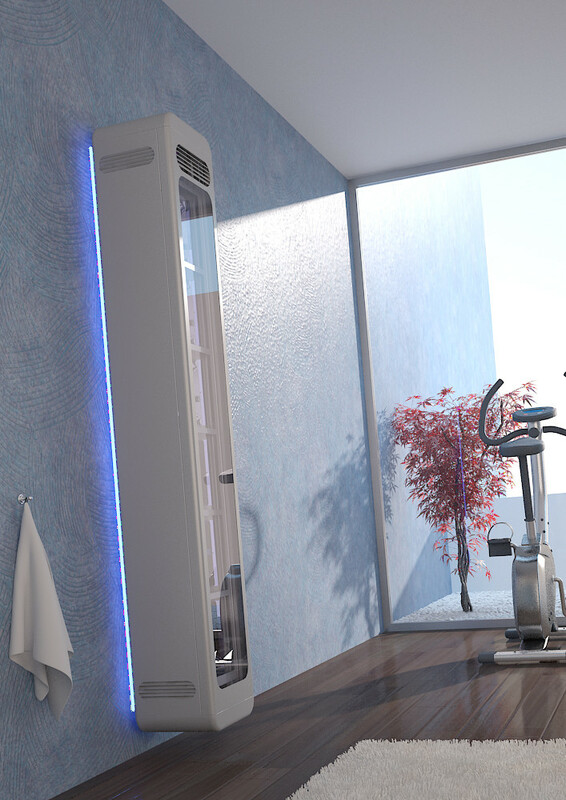 LUXo is a tan module that can be vertically or horizontally positioned in order to give, in a massage or relax dedicated room, the additional tanning service.